To celebrate HM the Queen’s 90th birthday and her role as the Supreme Governor of the Church of England, every parish church is being encouraged to organise a festival and an exhibition to mark the Queen’s official birthday on the weekend of 10-12th June 2016. The festival could focus on any aspect of the life of your local area that you can think of, while the exhibition should illustrate the life of your parish over the Queen’s lifetime that is since 1926! This is an opportunity for you and your community to reflect upon the changes, both great and small, that have taken place over the last 90 years. 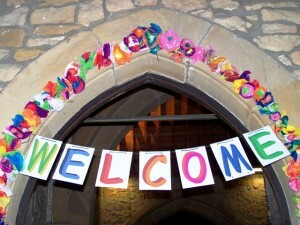 Churches could also use it as an opportunity to invite their community come and visit their church, to look at the role already played by the church in their community and perhaps look at how that role could be developed. There is more information on the Churchcare website which have also provided some guidance on how to research your local history. The Central Council of Bell Ringers is also planning a co-ordinated ringing of bells at lunchtime on 12th June so let your bell ringers know.